Thanks to Paintedaccent.com, Fur Angels Animal Sanctuary has fantastic painted wine glasses available for limited time only. All proceeds go directly to help fund our all volunteer rescue. Fur Angels Animal Sanctuary is an in-home foster network. The rescue pays for all costs associated with the foster animals. 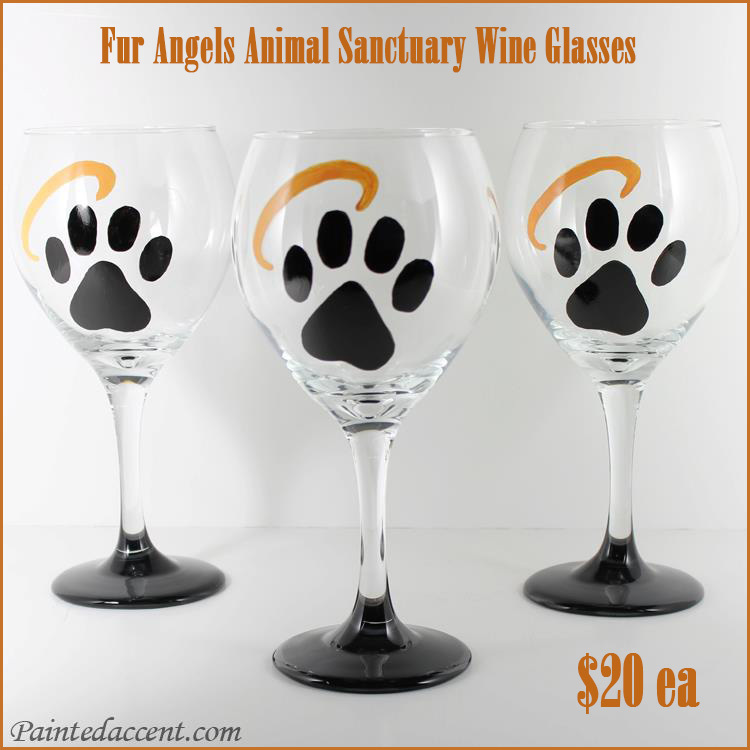 That means every penny raised goes to help save a shelter/ owner surrender pet. By keeping our fosters in homes, the foster guardians are able to know the personalities and start training when needed. No surprises here!